The Petrified Forest Field Institute has world class guides and field experts to introduce you to some of the most fascinating and diverse wonders that the park has to offer. Below you’ll find biographies of some of those who will be guiding you in the field. David Behar started as many people begin, snapping pictures of family. Expanding to digital, then re-embracing traditional 35mm film, he continued to expand into medium format film and alternative printing processes. He now develops his own black and white film and traditional darkroom prints. David’s art education is in painting and drawing, earning a B.A. in fine art from the University of California at Irvine in the mid 1970’s; a program that was heavily influenced by the contemporary L.A. art scene of the time. He shoots with available light and a strobe from time to time and does it all, from scanning and processing digital images to pulling giclee-grade prints. He is now moving in a new and more focused direction, concentrating more on scenic work and seeking out the road less traveled; some surprisingly close to major cities. Some photographs are part of a thematic series with a running narrative while others stand alone as singular moments. A resident of the White Mountains of Arizona, David finds endless inspiration at the Petrified Forest, often encountering subjects or lighting which demand the reverence of a captured picture. Andy Bridges received his Masters of Science in Applied Biology from Arizona State University studying microhabitat selection of juvenile Sonoran Desert Tortoises. 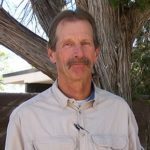 In addition to a successful military career, he has worked with Arizona Game and Fish Department’s Turtles Project and the Sonoran Desert Breeding Bird program. 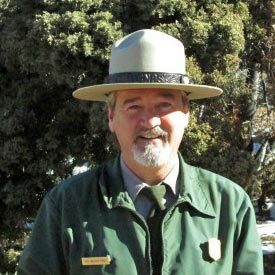 In 2011 he began working for the National Park service and retired as the Park Biologist for Petrified Forest National Park in late 2018. 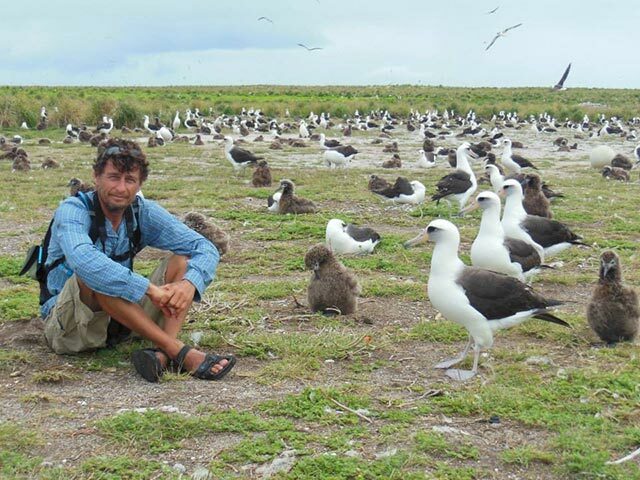 His work in the park included overseeing a long-term reptile and amphibian monitoring program, creating baseline wildlife inventories, and studying bird, small mammal, and reptile and amphibian distribution and phenology. He also actively worked to restore ecosystem balance in the park by removing non-native species, reintroduced keystone species and ensured adequate resources were available for existing native plants and animals. Mike Campbell, owner and founder of Canyonology Treks, considers himself fortunate to spend his professional life in the great outdoors. In addition to leading guided wilderness trips through his own company, Mike has also worked for Grand Canyon Whitewater and Arizona River Runners. 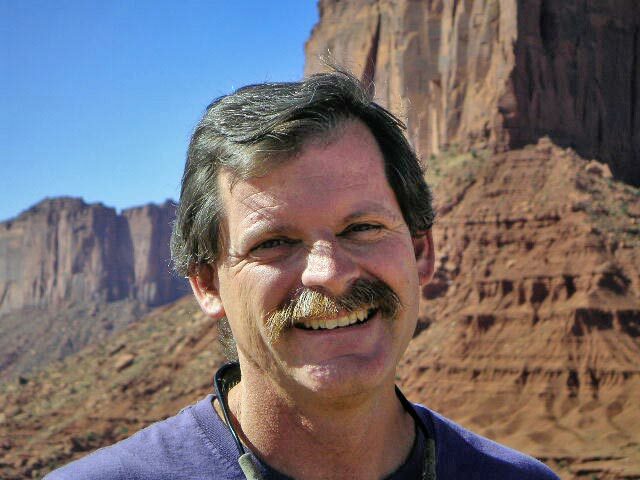 He is a frequent contributor to Canyon Views, the quarterly publication of Grand Canyon Association, and Hit the Trail, an essential resource for first-time canyon hikers. Before founding his own trekking company, he spent a decade working in the field of computational chemistry. Mike’s approach to guiding is informed by his own experiences hiking and backpacking throughout the West. Many visitors will leave the Southwest feeling an innate sense of connection to this place—but left untended, that connection can be tenuous and ephemeral. Immersive and informative wilderness experiences are an antidote to this phenomenon. Mike views the educational component of his PFFI courses not as some abstract cerebral exercise, but as a way for visitors to strengthen and deepen that sense of connection to the Southwest. 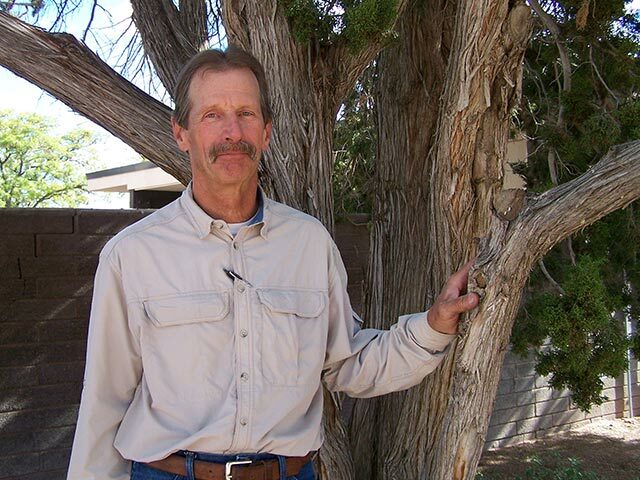 Dan Carroll earned his Bachelor of Science Degree in Zoology from Northern Arizona University. He has a minor in Chemistry and some additional emphasis in Mathematics and Geography. Most of his working career post degree has been here on the Colorado Plateau. 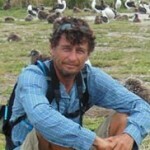 He has been involved in many wildlife surveys throughout the area. Mexican spotted owl and Southwestern willow flycatcher surveys, bat netting, reptile traps, mice trapping, bird grids, Abert’s squirrel surveys and black-footed ferret surveys are some of the more notable wildlife experiences. 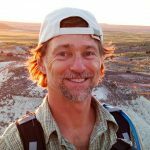 Also, he spent several years working as a Natural Resource Specialist on the Colorado Plateau – Ecological Site Descriptions. This included working with soils identification, soil hydrology and soil health issues. This was in conjunction with plant and wildlife ecology for constructing State and Transition Models to describe those ecological processes. Dan has been fortunate to spend a major portion of his life in the outdoors observing, working, studying and enjoying everything in the environment. He is a long-time horse person, hiking, bicycling, swimming, running, backpacking, birding, astronomy and so many other activities that there is not room enough to list it all here. One of his goals is to continue to share and pass on his knowledge and passion for the planet that we live on. Andrew Kearns immigrated from Ireland in 1990 and has spent 20 years photographing the American deserts. 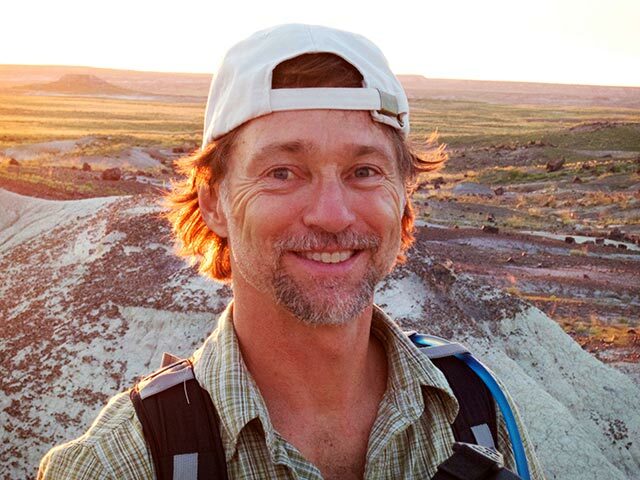 He’s published in travel books and on various websites—most notably Petrified Forest National Park’s and the New York Times. Many of his images can also be seen at wayside exhibits throughout the park. Throughout his five-year relationship with the national park, he’s returned every year to make images that highlight the unique beauty of this special place. Kearn’s Petrified Forest images have won awards, and he held a three-month long exhibition highlighting 18 large format framed images of the park in California in 2014. Andrew’s photography includes images using large format film cameras and digital SLRs from both Nikon and Canon. Andrew Kearns photography can be viewed on his Andrew Kearns Flickr page. Frank Kraljic is an Emmy-award winning director / cinematographer with over fifteen years behind the camera on commercials, short and long format documentaries and television programming. 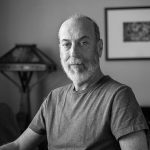 Over the last several years, Frank’s work has taken him through South America, Europe, Africa and Asia on projects including a ski-movie/culture trek through Afghanistan and into the West African Ebola outbreak among other productions. On television, he executive produced and directed the docu-reality series 3-Gun Nation on the NBC Sports Channel and wrapped three seasons on The STEM Journals, an Arizona-based kids STEM career show. 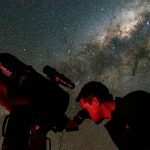 Supplementing his television career, astronomy and planetary science continue to have a strong interest for Frank since age three. 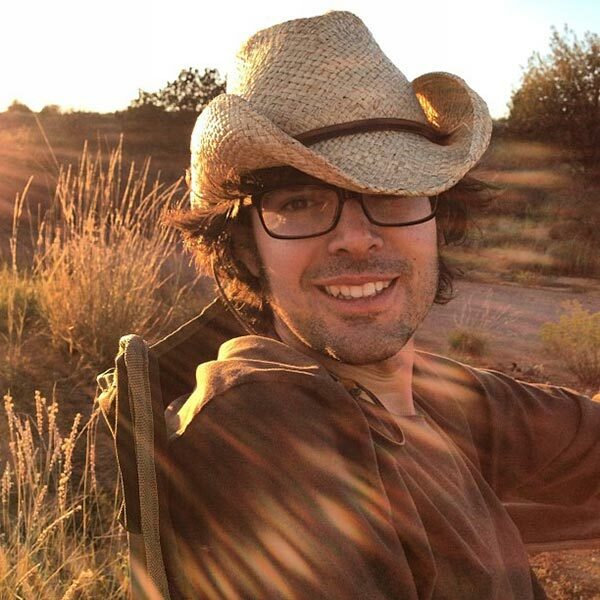 In high school, he interned in the planetary geology department at Arizona State University in addition to receiving ninth and sixth place honors with the National Outstanding Young Astronomer Award. 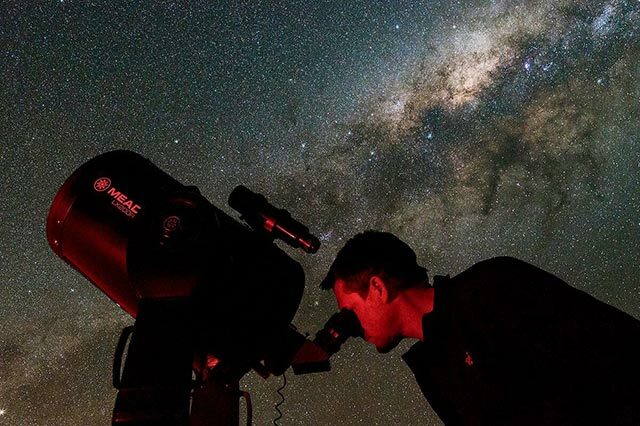 He has built three telescopes, published in Sky and Telescope magazine and was invited three times as an educational guest astronomer at Sossusvlei Desert Lodge in Namibia. Besides astronomy and film, his interest also include skiing, mountain biking, climbing, canyoneering, backpacking and ice hockey. 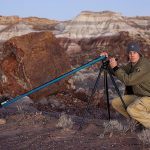 Frank was accepted into the Petrified Forest National Park’s Artist-in-Residence program for nightscape photography in May of 2016. His aim was to capture highlights of the park as the object of attention with the night sky as a backdrop. The month-long opportunity gave Frank a chance to explore in-depth and photograph many backcountry destinations. 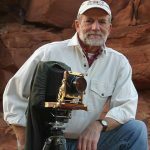 Gary Ladd is a free-lance photographer specializing on the wilderness interior of Grand Canyon, the pristine sandstone landscapes surrounding Lake Powell and the slickrock terrains of Vermilion Cliffs National Monument. Until 2012 his camera of choice was a 4×5 field camera. Digital now dominates. 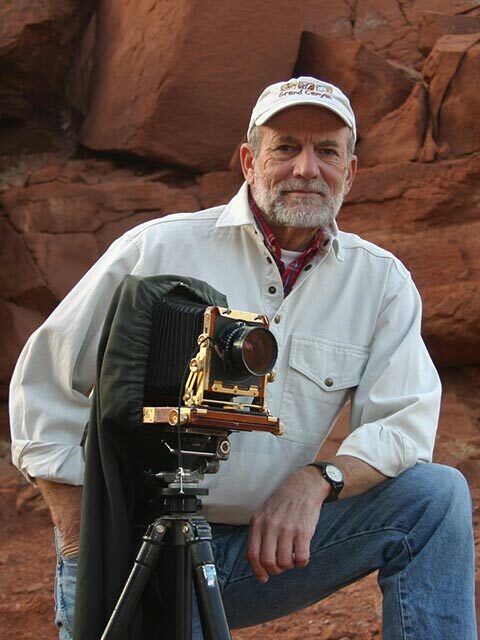 His photographs have appeared in Life Magazine, Air & Space, Omni, Nature Conservancy, Reader’s Digest, Newsweek, Geo, Professional Photographer, National Geographic Adventure, The Wall Street Journal, Modern Photography, Plateau Journal / Sojourns, Sierra Press books, National Geographic books and many other periodicals, books, posters, cards and National Park Service displays. His most well-known image shows a spectacular lightning storm over Kitt Peak National Observatory, an image that was on “permanent display” at the Smithsonian Institution for many years. His work has appeared in over 70 issues of Arizona Highways, ten as author and photographer. The December, 2011 issue of the magazine featured the 50 greatest photos ever published in the magazine’s 85-year history. Five of the 50 were Mr. Ladd’s. Other recent book projects include Along the Rim (published by Grand Canyon Association), Lake Powell—A Photographic Essay of Glen Canyon National Recreation Area, The Mormon Trail, The Oregon Trail, Rainbow Bridge, and Landforms—Heart of the Colorado Plateau, the last two as photographer and author. He has self-published several books for local distribution: Page, Arizona—Hub of the Visual Universe, Grand Canyon—the Bare Essentials of Geology, Lake Powell + Glen Canyon—the Bare Essentials of Geology, Lake Powell Unchained and Time Sculpture—the Eloquence of Stone. In July, 2008 Grand Canyon, Views Beyond the Beauty was published by Grand Canyon Association and in May, 2010 Arizona Highways released Lake Powell, both authored and photographed by Mr. Ladd. His most recent book project was published in 2016, Photographing Grand Canyon. Many of his photographs were made on a 40-year-long series of backpacking trips through Grand Canyon and on many river excursions in Grand Canyon and on Lake Powell in his wooden dory, Tatahotso. Mr. Ladd has lived in Page, Arizona for 35 years. He is an Arizona Highways photo workshop instructor and Glen Canyon Natural History Association Field Institute instructor and Road Scholar geology and photography instructor. He also leads photography and geology hikes at the new Amangiri resort near Page, AZ. Larry Lindahl is a Sedona-based travel and landscape photographer who is consistently published in magazines, scenic calendars, and coffee table books. Outdoor Photographer and Arizona Highways magazines have both featured his photography on their front covers, in photo portfolios, and in stories he has written and photographed. His photography is frequently published internationally and are highlighted on his website, LarryLindahl.com. His images can be seen in the books: The Ancient Southwest: A Guide to Archaeological Sites, Grand Canyon: The Vault of Heaven, Lasting Light: 125 Years of Grand Canyon Photography and his best-selling book, Secret Sedona: Sacred Moments in the Landscape. Arizona Highways editors asked him to contribute a chapter in their book Arizona Highways Photography Guide. Lindahl is a creative photography instructor and teaches landscape and nature workshops. 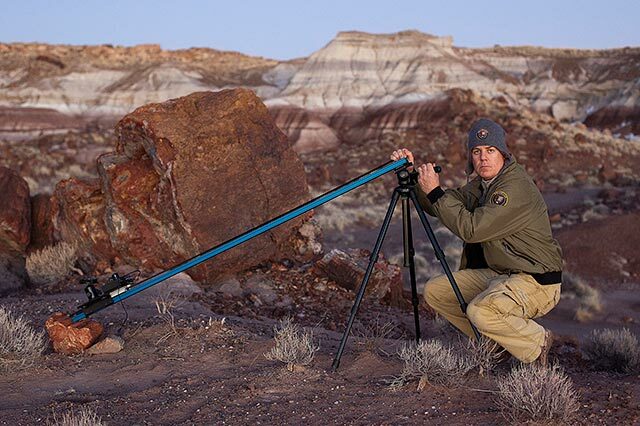 He teaches multi-day photo workshops and leads photography backpack trips in the Grand Canyon for Grand Canyon Field Institute, the official educational branch of the national park. Kathleen Mendes embarked on a lifelong creative journey at the age of nine. Selecting Art as a subject she would become more accomplished at than any other, she set out on the Artist path. Elementary school years were filled with various creative ventures, art contests and private art lessons. Adolescent years were unending periods of emotional upheaval. Creativity remained a constant thread and the therapeutic value of art began to be surface in Kathleen’s life. Persistent and determined with Art as the major course of high school study the path ultimately lead to scholarships at California College of Arts and Crafts. The artist journey continued throughout Kathleen’s life with all undertakings following a creative vein. Art studies, construction projects, countless craft pursuits all littered the artist path. In the Mid 1990’s coping with adversity, art again came to Kathleen’s rescue. The time for change had arrived. Art Therapy became a formal course of study resulting in a doctor of philosophy degree specializing in Creative Therapy. Art as therapy guided Kathleen to the realization that further life changes were in order. Seeking to live a life true to her creative and ethical values Kathleen established herself in Arizona’s cowboy and Indian territory. A foreign land, a foreign life she turned to art as the thread to weave her into the picture. Through explorations in the world of cowboys and Indians Kathleen continues to discover herself. Today life and art are one in Kathleen’s Arizona territory. Bill Parker, Petrified Forest National Park’s Chief of Science and Resource Management, and previously the lead paleontologist since 2001. 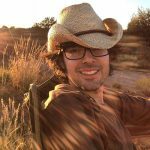 He received his bachelor’s and master’s degrees in geology from Northern Arizona University in Flagstaff, and his doctorate from the University of Texas at Austin. Bill has published nearly fifty papers on late Triassic paleontology and geology and conducts yearly fossil collecting expeditions in the park and surrounding area. 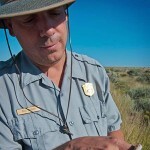 He is also the de facto historian of the Petrified Forest, specializing in its century as a national park. 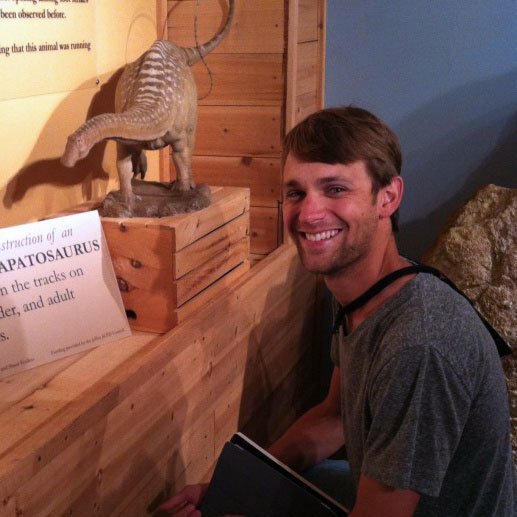 Adam Marsh started as an intern at Petrified Forest National Park in 2013 and is now the park’s lead paleontologist. He earned his bachelor’s degree in biology from the University of Notre Dame and his master’s and doctorate in geology from the University of Texas at Austin. Adam’s research interests include the early evolution of archosaurs and dinosaurs, as well as the stratigraphy and U-Pb geochronology of the Mesozoic rocks on the Colorado Plateau. 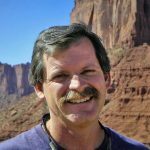 Wayne Ranney – Author of Carving Grand Canyon and co-author of Ancient Landscapes of the Colorado Plateau, Wayne Ranney is a veteran of expedition travel, and has lectured on and journeyed to all seven of the Earth’’s continents. With a lifelong interest in the natural and earth sciences, Wayne specializes in making the fascinating story of our planet come alive for fellow travelers. His travels have taken him to all areas of South America including Patagonia; the Polar regions from Antarctica to Iceland, the desert lands of Africa and the American Southwest, and most of Earth’s outstanding landscapes. He was elected to the Explorers Club and has visited more than 80 countries. Wayne is a retired professor of geology but still teaches an occasional honors course at Northern Arizona University in his hometown of Flagstaff, Arizona. He is passionate about sharing his vast knowledge of earth history with others in an easy and informal style, and is a well-respected author of numerous award-winning books and articles. He enjoys studying languages, hiking, river running, photography, conversation, and anything else that allows him to get out with others to see the varied and interesting landscapes of this beautiful world. Learn more about his writing, outdoor adventures, and lectures at www.wayneranney.com or his fascinating blog at http://earthly-musings.blogspot.com/. Christa Sadler started playing in the dirt when she was a toddler, much to the dismay of her parents, who ran ragged trying to keep their house clean. This love affair with all things Earth never really ended. Christa received her bachelor’s degree in paleoanthropology from the University of California at Berkeley. She continued her studies in geology and paleontology at the University of California at Santa Cruz, and finished her Masters degree in Earth Sciences at Northern Arizona University in Flagstaff. Christa has pursued research in archaeology, geology and paleontology across the globe, including searching for dinosaurs in Montana, fighting off dust storms and overly curious camels in the Gobi Desert of Mongolia, and steering clear of annoyed marine iguanas in the Galapagos Islands. 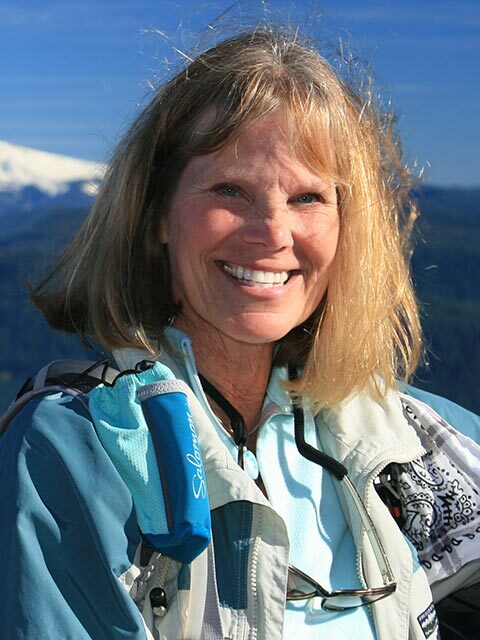 Because she believes that the best way to learn about the earth is out on it, she has since 1988 guided trips to Alaska, Mexico and the Southwest and Grand Canyon on rivers, trails and oceans. Christa founded This Earth (www.this-earth.com), an educational program that designs earth science exercises, programs and field trips for students age K-12 around the country. She also started a non-profit scholarship foundation for girls in developing countries (www.oneneweducation.org). 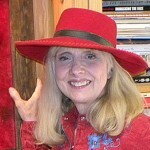 Her articles and photographs have appeared in Plateau Magazine, Plateau Journal, Sedona Magazine, Sojourns, and Earth Magazine. Christa wrote the geology section for Hit the Trail, an essential resource for first-time canyon hikers. 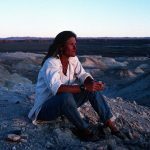 She is the author of Life in Stone, about the fossil history of the Colorado Plateau, and the editor and publisher of There’s This River…Grand Canyon Boatman Stories, an anthology of short stories and artwork by guides on the Colorado River. Christa is also the author of Dawn of the Dinosaurs, published by the Petrified Forest Museum Association. This is a comprehensive look at the beginning of the Age of Dinosaurs in the American Southwest. Her most recent publication is Where Dinosaurs Roamed: Lost Worlds of Utah’s Grand Staircase (published by th Glen Canyon Natural History Association), about the paleontology of southern Utah near the end of the Age of Dinosaurs. Both publications contain the most current information and artwork about the fascinating fossil history of the region. 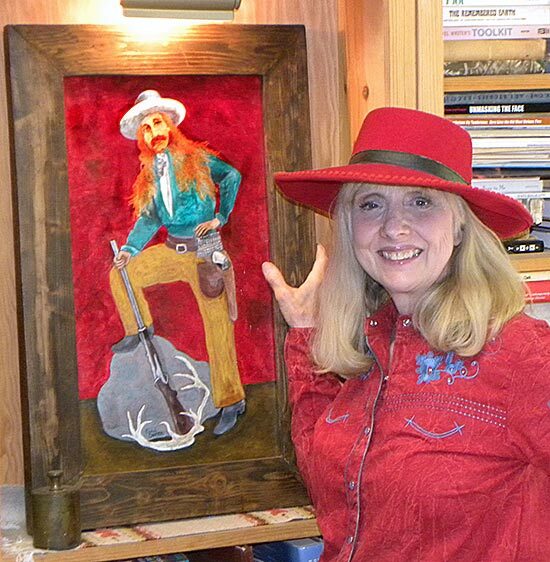 Carol Sletten is a writer and illustrator whose work reflects her fascination with the history, landscapes and people of the American West. 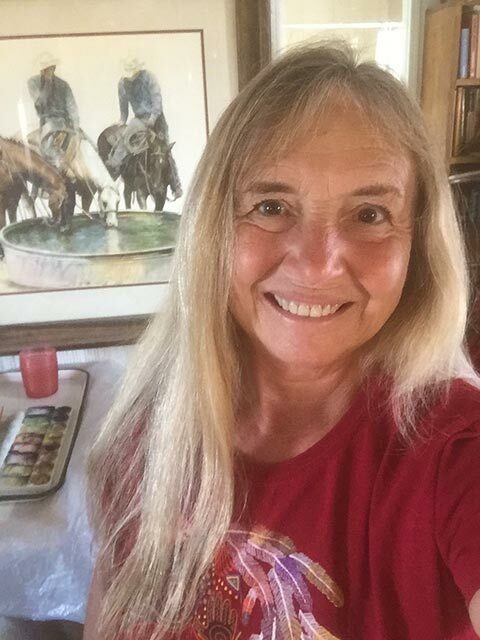 She is a co-author and illustrator of the Arizona Centennial Legacy Project, Story of the American West, Legends of Arizona and author of Three Strong Western Women, a popular play and book by the same name. In the past, Carol worked for an ad agency and a university information center. She did a stint as a reporter, taught at a community college, was co-owner of an art gallery and collected oral history. When she was on the East Coast, Carol had a gig as an artist in residence, designed publications and had a one woman show at the Staten Island Botanic Garden. She recently received a DAR Women in the Arts Recognition Award. Her current project, a novel based on the life of a powerful Apache medicine man, was a Tucson Festival of Books Finalist. Carol lives and works in a cabin surrounded by forest a mile from the Fort Apache Reservation in Arizona’s White Mountains. 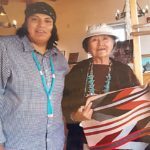 Lucille Smith is a traditional Navajo rug weaver who has been weaving since she was six years old. She was taught the art of weaving from generations of women weavers in her family. 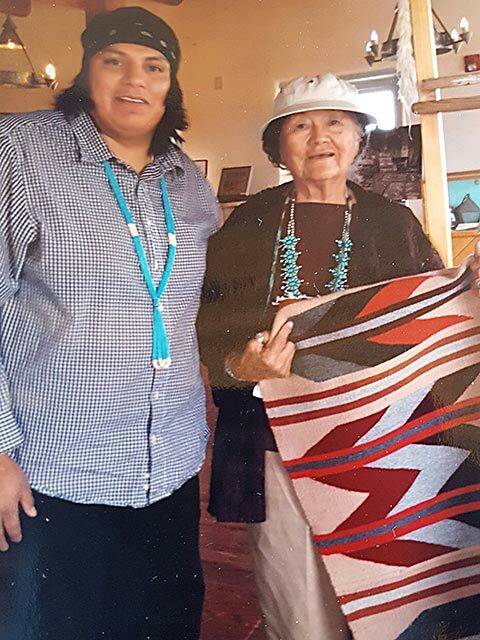 Throughout her life, she has woven a variety of rugs ranging from throw rugs to those with intricate designs, like the Navajo storm patterns. Her work has been exhibited and demonstrated throughout the United States, Canada and Japan. Mrs. Smith lives on the Navajo Reservation in northeastern Arizona. She weaves her rugs in the traditional Navajo method, from sheep to rug. She was brought up to raise sheep as a means of livelihood. From her mother and grandmother (skills handed down from even older generations), she learned how to process wool to create her woven masterpieces. Today, she continues to shear, card, wash, spin and dye the wool using traditional methods. Navajo rugs are unique in design—no two rugs will be exactly the same. Mrs. Smith’s rugs are crafted without pre-designed templates, but are designed as she sits at the loom and begins weaving. Her creations are all products of the raw material from her own herd and many hours of preparation and processing the wool. In the spring, Mrs. Smith shears her sheep and selects the fleeces to process into warp and colored skeins for her upcoming creations. She states, “When I am with my sheep, I am at peace. When I am weaving, I am at peace, as I take special care to recall moments when I sat at a loom as a small girl with my mother’s hands carefully guiding my hands.” Mrs. Smith is now teaching her four year old great-granddaughter the art of Navajo rug weaving like her mother and grandmother once taught her—carefully guiding little fingers through the process. Denise Traver has called Arizona and the Four Corners region home, playground and classroom for most of her adult life. She’s worked for the Park Service as a backcountry ranger at the bottom of the Grand Canyon as well as a naturalist ranger on both the North and South Rims. 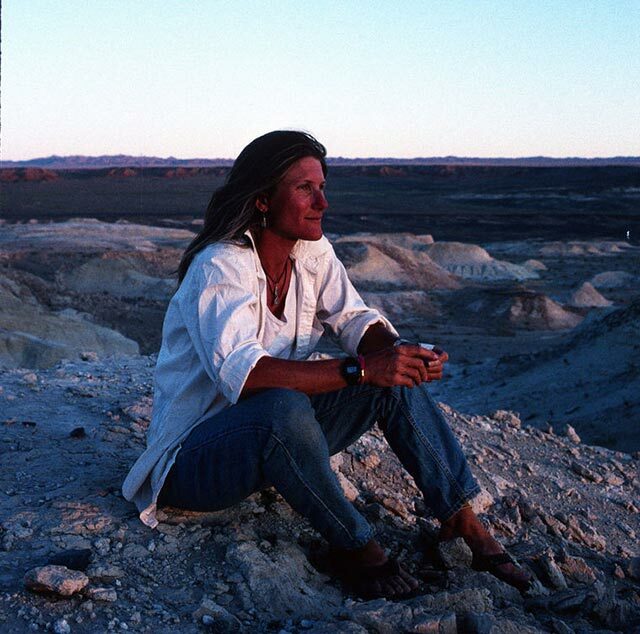 After her stint as a ranger, she was an instructor for the Grand Canyon Field Institute leading hundreds of hikers over thousands of inner canyon miles covering geology, ecology, natural and human history along with the lessons of safe and “leave-no-trace” backpacking. 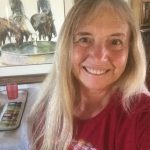 Denise also lead van and bus-supported trips for the Northern Arizona University Elderhostel (now Road Scholar) and the Museum of Northern Arizona as well as leading private trips through Utah, Arizona and New Mexico. She takes great joy in showing off the jewels in our park system, and especially those in northern Arizona and southern Utah. 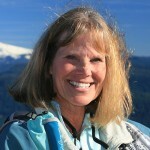 Denise maintains a popular website for Grand Canyon hikers and those planning a visit to Grand Canyon, Hit the Trail. The site has been featured in many publications including the Washington Post, USA Today and the San Francisco Chronicle. Kip Woolford retired from the U.S. Navy after 21 years of military service. He turned his attention next to education. Earning a Bachelor’s degree in K – 12 education with a Minor degree in American History / American Southwest from Northern Arizona University, Kip has a keen knowledge of the natural and human resources of the American Southwest, and particularly, the Colorado Plateau. Kip spent his first few years of park service at Mesa Verde National Park, which allowed him to further his education and understanding of the ancient ones who inhabited this area for thousands of years. 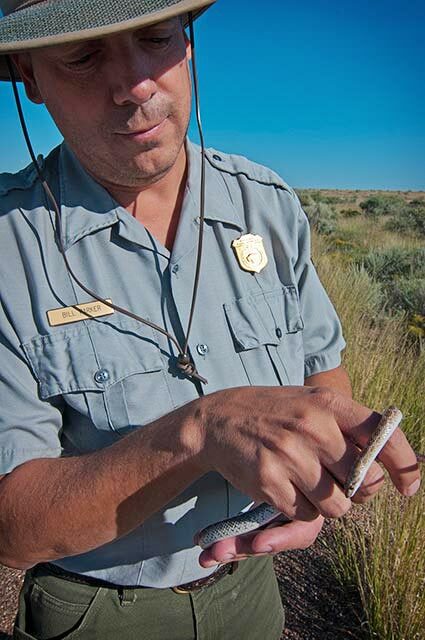 He spent the last 10 years at Petrified Forest National Park as an Interpretive Ranger giving programs and guiding hikes and building lasting relationships with tribal members. Now retired, he still thrives on the idea that there is always something new to learn about the area. His years at Petrified Forest National Park expanded his historical background to include the geological and paleontological story of the Triassic period. His fascination grows as each new discovery is made and the history of our area comes into sharper focus. Twice retired from federal service, Kip remains eager to share his love of Petrified Forest with our visitors.